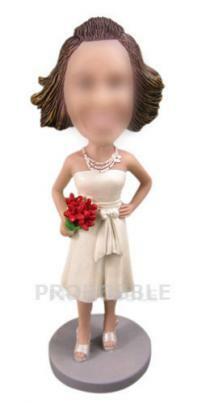 We often choose our best friends to be the bridesmaids in the wedding.Each girl dreams of a fantastic wedding.And custom bridesmaids bobbleheads for your bridesmaids, maid of honor or flower girl must make your wedding day more perfect and memorable.Your friends would be very glad to get the custom bobble head doll that looks like them.We have diffrent bridesmaids bobbleheads for you. 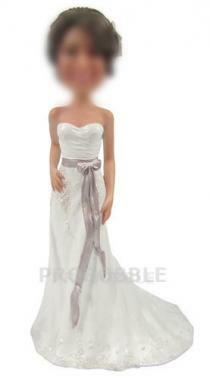 Their dresses, poses and accessories vary from each other.The color can be changed as requested. 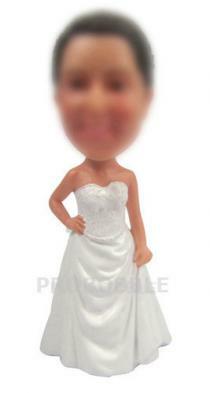 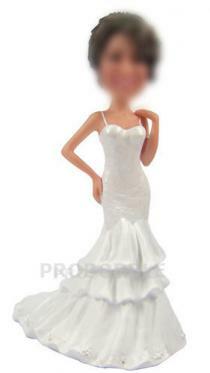 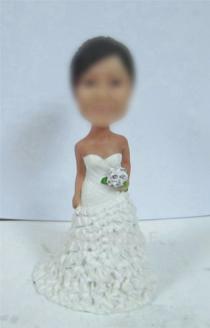 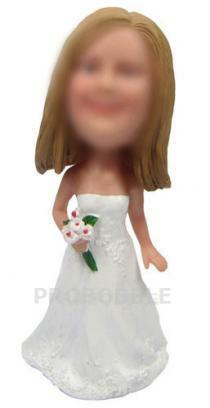 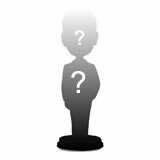 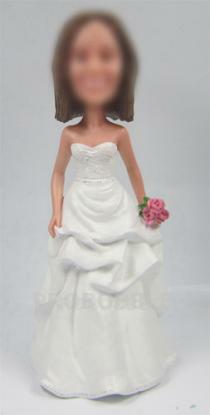 And you can also design your own bridesmaids bobblehads by yourself.Send your photoes to us and email us your requirements and we will do the rest.The best likeness and quality are the two features of our bobbleheads. 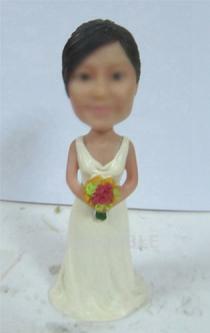 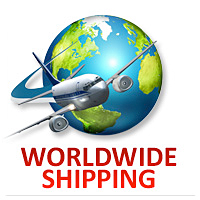 We do the bset to sculpt every bobblehead and guaranted 100% satisfaction.